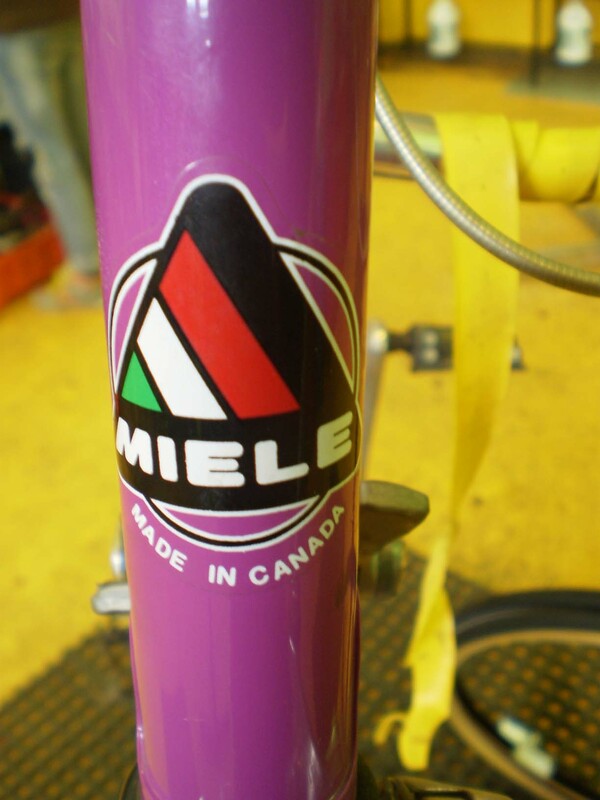 A couple of weeks ago, a woman named Effie came into BikeWorks dragging a lovely magenta 1980’s Miele road bike with bright yellow bar tape. Previously owned by her mother, the bike was in pieces, and (huge props to her) she had brought it on the bus so she could fix it up for her sister. I rarely fawn over road bikes, but I thought it would be an appropriate time to share a few details of a classic Canadian steel frame. I'm not the sort to get fixated on lugs, but how could anyone not adore this? There's a lotta love in this frame. We spent the afternoon tuning up the bike and making it rideable again, including adding a blue tire that was the only one in the shop that fit. Miele means "honey." So sweet. Also, yellow floor at EBC plus point & shoot camera makes for color variation in pics. This one best represents the actual frame color. I sure hope Effie’s sister uses this bike and appreciates all the work & love her sister put into it. 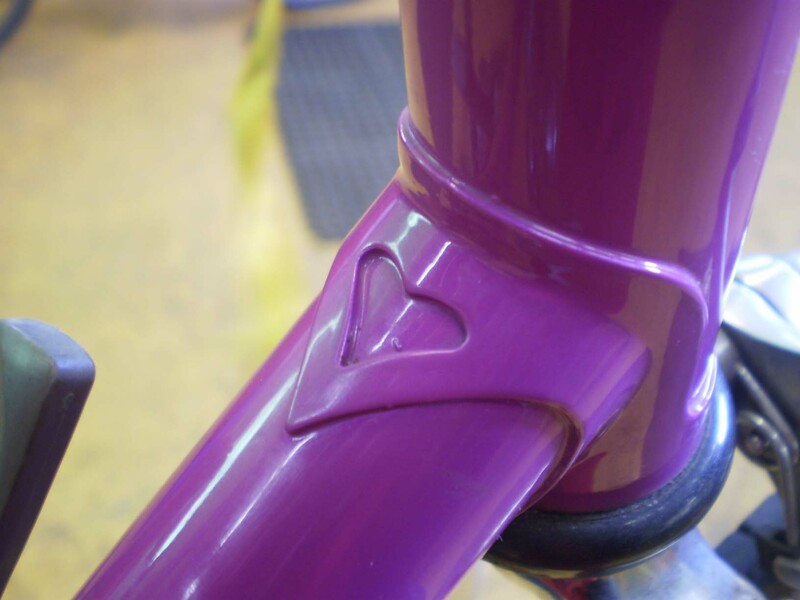 Not only is it a looker, it’s a quality bike, the kind that can last a lifetime. It’s also the kind of bike that can inspire songwriters (check it at 0:20, and the biggest difference between his bike and this one is the bar tape). 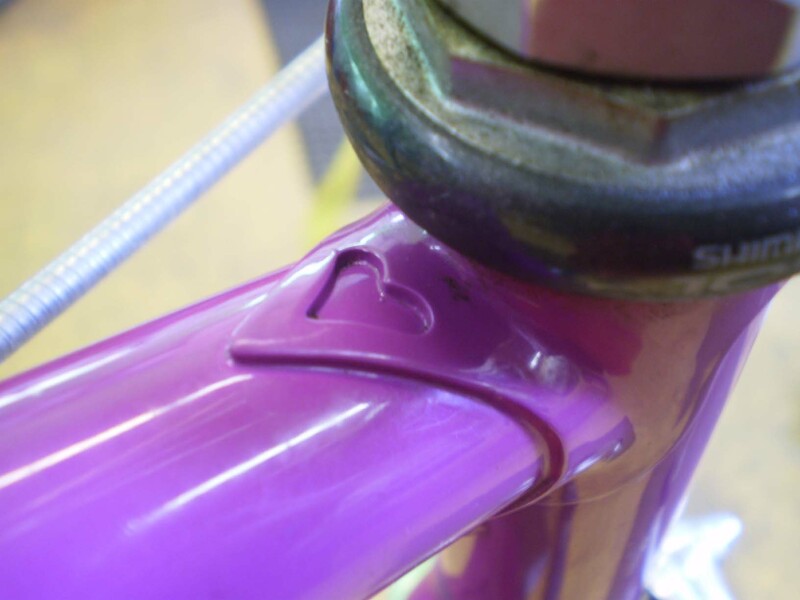 Here’s hoping everyone feels some bike love this week!